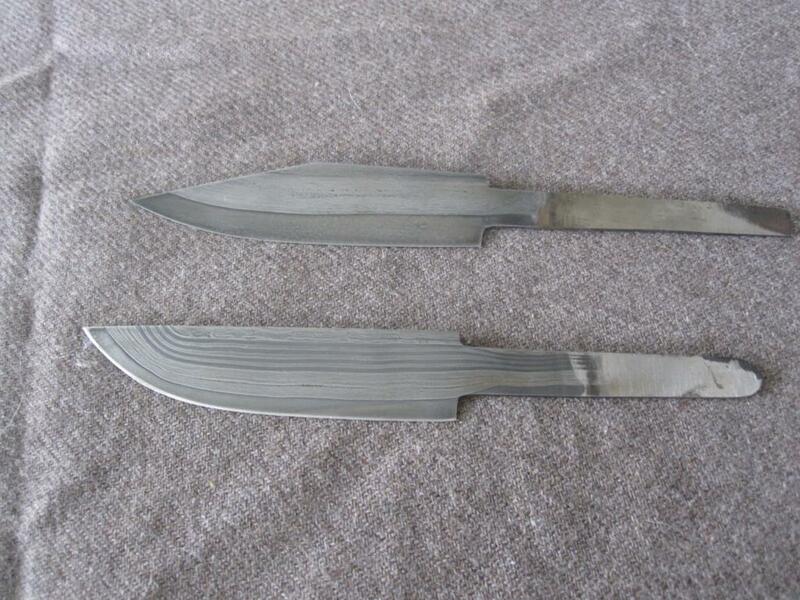 First one is a broken-back type, eith the blade being 11,6cm long, and 2,4cm wide at the tang. The spine thickness is 5mm at the tang, and as a lot of historical examples do, it thickens towards to break to 6mm. This cutter is composed of wrought iron from an 18th century bar, and W5 tool steel for the edge, water quenched. The price is 95USD + shipping. 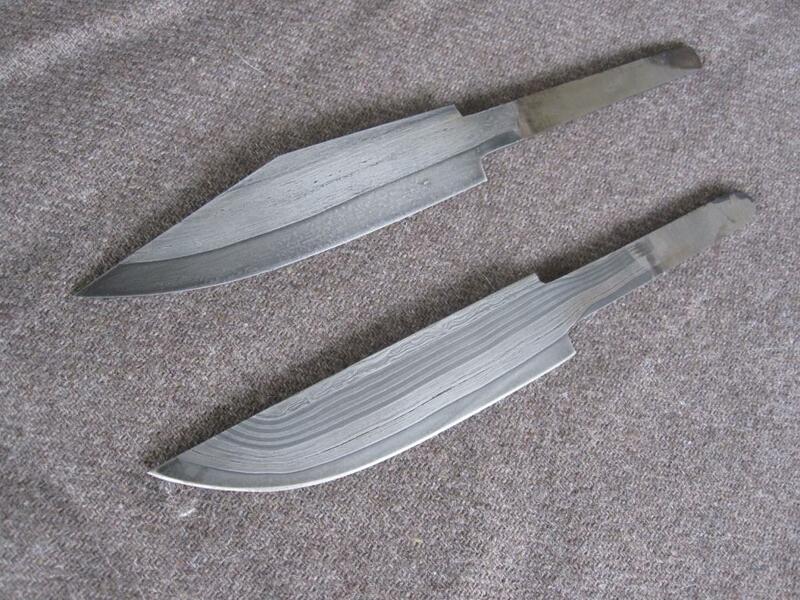 The second blade fatures a 7-layer stripe of pattern-welded rod in the middle, surrounded by the same 18th century wrough iron, and the same W5 for the edge. The blade is 11,2cm long and 2,45mms wide, with the thickness being 5mm. The price for this one is 135USD plus shipping. If you like the blade but are uncertain whether you´d like to have a go at hilting it, I´d be happy to offer my sketches and designs, and complete the knife for you!